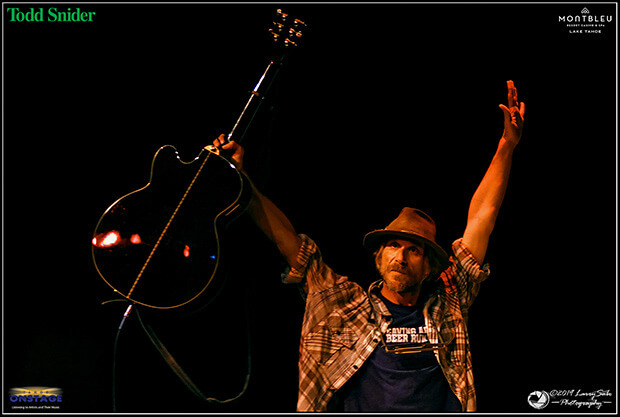 Todd Snider wore a “Beer Run” shirt and open his set by playing the same song. 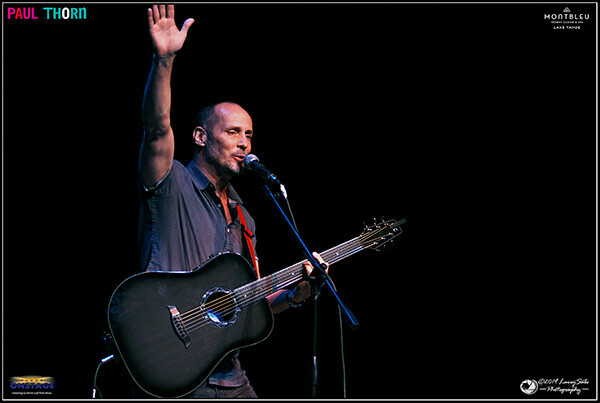 It was smart for organizers to put brilliant songwriters Paul Thorn, James McMurtry and Todd Snider on the same bill. But it posed the conundrum of featuring three artists accustomed to headlining. In what order should they perform? Each artist has a unique, compelling style. Thorn writes short, catchy songs with homespun country humor and passion. McMurtry paints his stories with more strokes of description. Snider philosophizes. An older crowd of more than 1,000 filled the showroom. 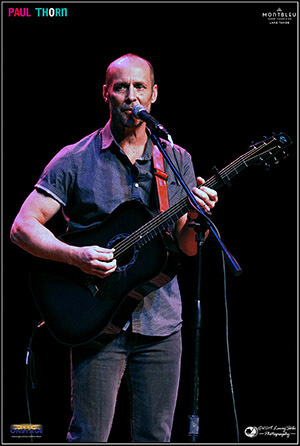 It seemed most were there to see one of the three songwriters but didn’t know much about the other two. They undoubtedly left as fans of all three. Thorn has an authentic rural Mississippi drawl, and his story about once being a prizefighter is true. Former world champion Roberto Duran beat Thorn by a technical knockout, but both boxers sustained injuries. They shared an ambulance ride and Thorn asked Duran about his mind-set in the ring. “I’d rather be a hammer than a nail,” he said, giving Thorn a song idea for his new line of work. McMurtry delivered plenty of humor, too, but with a deadpan style. Characters fill his tales; the songs are not autobiographical. 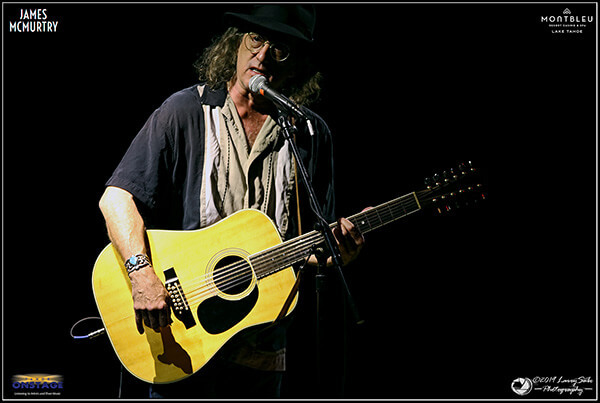 In between the tracks, McMurtry manually tuned his 12-string guitar by ear, not electronics, just as it’s done on a front porch. “I work in rhythm and meter,” McMurtry said, introducing his final and most powerful song of the night, “State of the Union.” Palacios is a Spanish name of a Texas town, which is oddly pronounced by its residents as a word that rhymes with fascists. Next came Snider, barefoot, incandescently disheveled, congenial as a peach. It’s not an act. After the well-known singalong “B double E, double R, U – N, Beer Run,” there was a totally believable story about acid and bananas in Hollywood and a song about a vinyl record collection that includes Widespread Panic and Mojo Nixon and, of course, “Conservative Christian, Right Wing, Republican, Straight, White, American Males.” Even those guys laughed, perhaps a bit uncomfortably. Snider’s self-awareness and delivery is what makes him so captivating. He writes with such poignancy it inspires a listener to think as hard as to laugh. 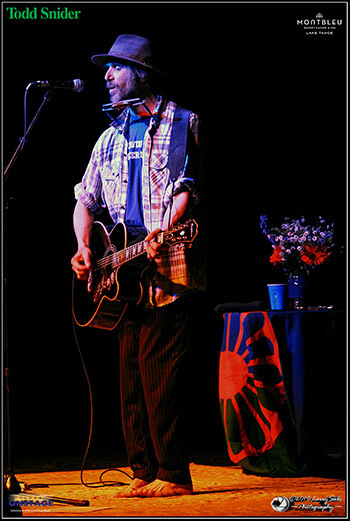 — Tahoe resident leaves teaching job to go on road with Todd Snider. — Son of renowned author, James McMurtry perplexed by genetics claim. 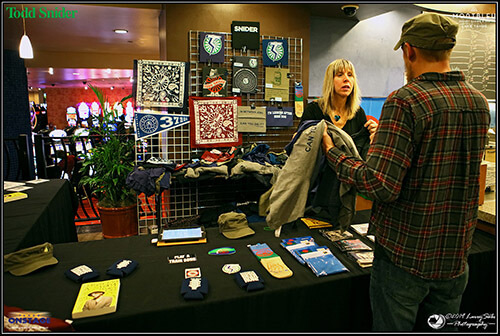 Lake Tahoe’s Kathy Kixmiller is Todd Snider’s assistant to the tour manager.